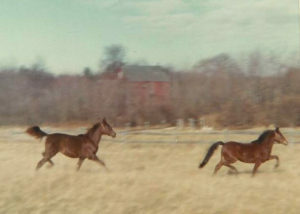 Light as a feather, her hooves barely touched the ground as she stepped out of the trailer to my home in Mattapoisett, Massachusetts. Amity the filly had arrived from Green Meads Farm in the Berkshire hills. 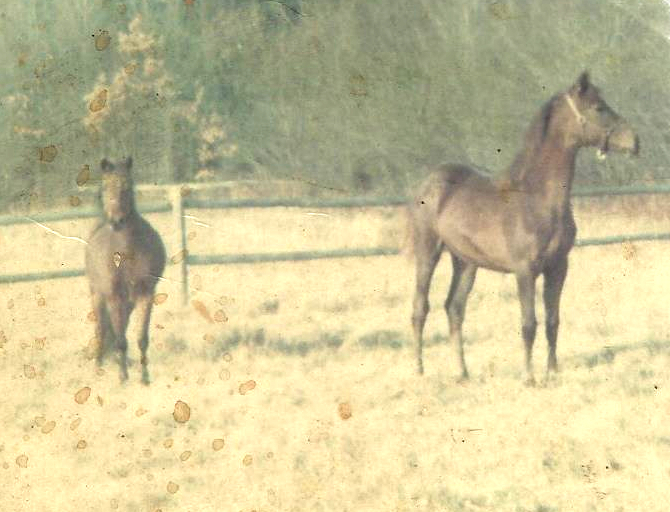 I had longed for a registered Morgan that I could ride, show and breed to have foals (baby horses) and here was Amity, a light and beautiful presence who would one day give her name to the future farm, Amity Farm. 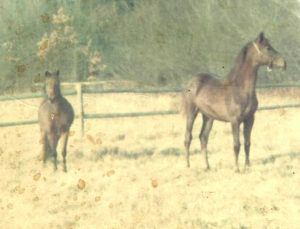 She had a dark brown liver chestnut color coat and the long legs and neck of a young horse. Justa Dream, my now older horse, looked at her with intense interest. Amity adapted well to her new home and quieted quickly. She was as willing and gentle as my now good boy Justa Dream had been rough and rebellious. 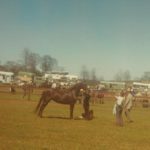 Being a young horse she began her training as having a halter put on, being led, picking up her feet to be cleaned and enjoying treats and getting brushed with a soft brush that made her coat glisten. She learned the routine of feeding, care and handling time, pasture and at night being safe in her well cleaned and bedded stall. 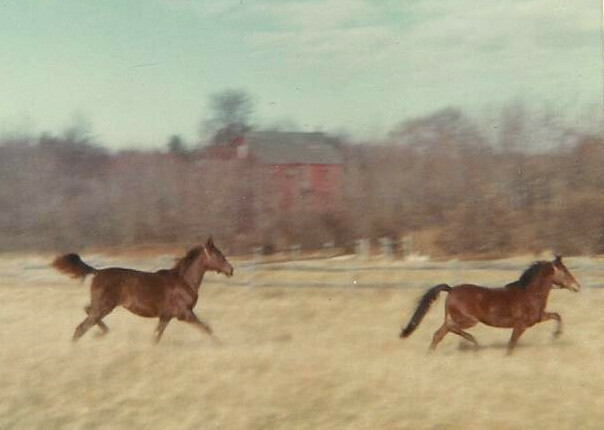 My uncle had a young hackney pony, Little Miss Maybe, and she provided the early young friend for Amity until she grew taller and would also be with Justa Dream. 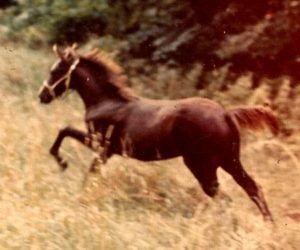 Every time a horse is handled, he or she is being trained, and it is important to have a quiet happy relationship develop. Being “broken” to ride could not be further from what should happen. Training is a process of mutual respect and understanding. 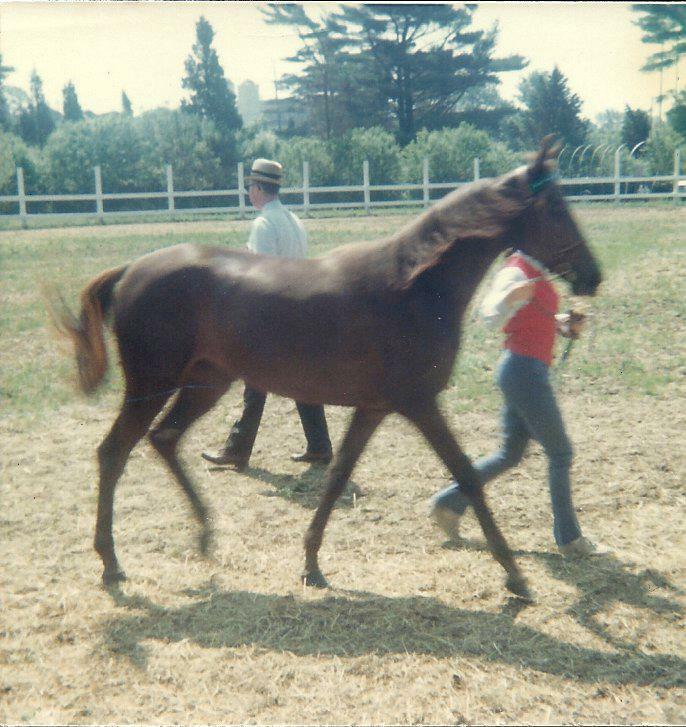 At one year, Amity was a tall lovely filly and I lunged her ( here a horse circles the human on a long line) and she learned to follow voice commands “walk”, trot” “whoa” and got lots of treats. Later she learned to be driven from behind with long lines (long reins through a light training harness where the human walks behind), this prepares the horse to learn to respond to the reins in preparation for both riding and pulling a light cart. 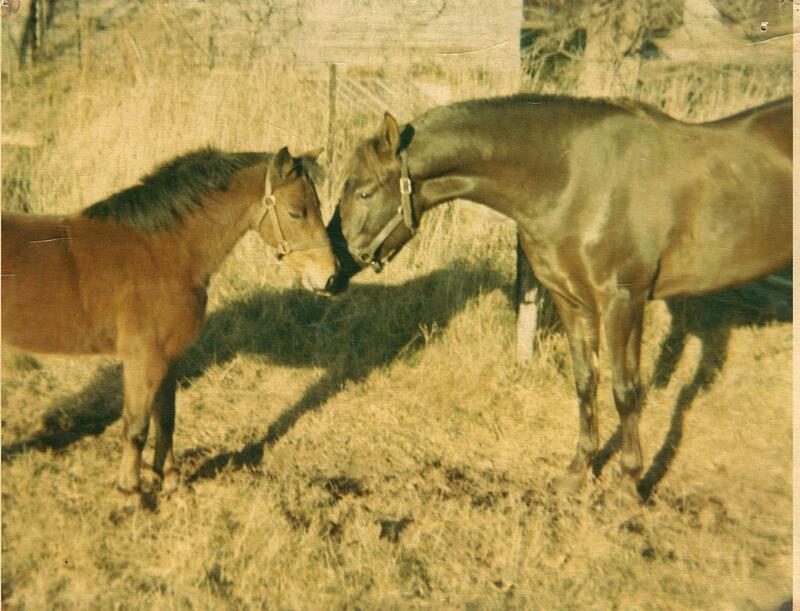 The communication between horse and human is strengthened. It gives the human good exercise too. 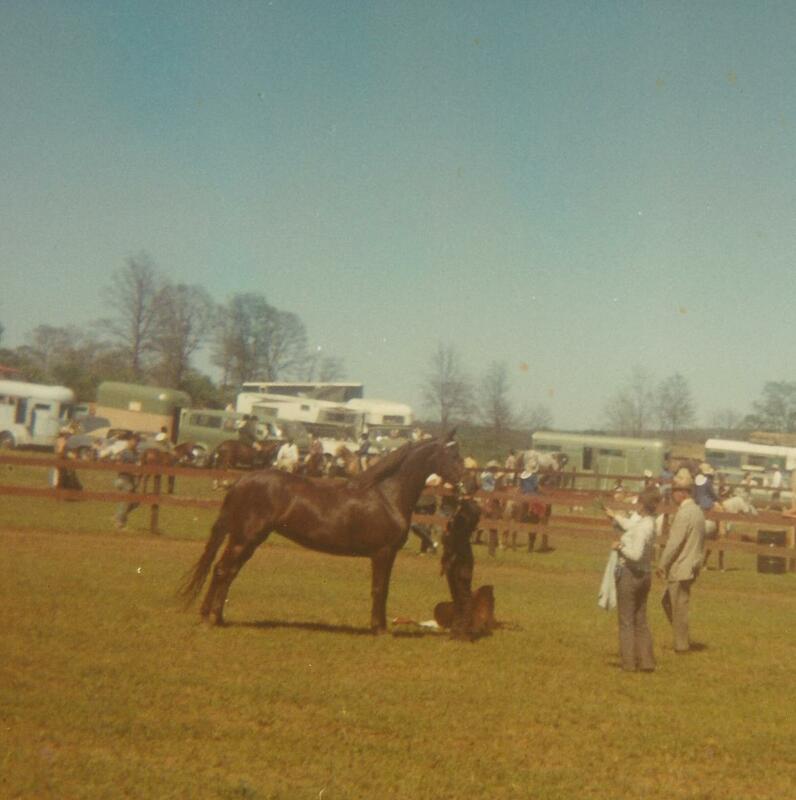 Amity went to some shows with Justa Dream and I, where she showed in the “in hand” classes, Not being ridden, but handled from the ground by me, being led at a walk and trot and standing proudly. She was a joy to work with and won some ribbons. 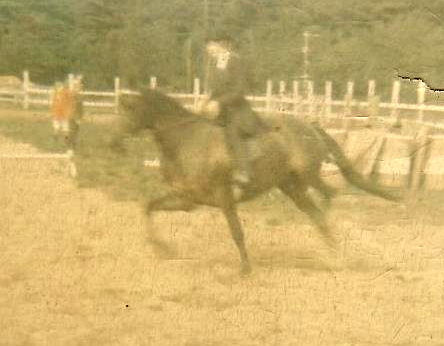 Then I decided to try to have her pull a flat board behind her while I guided with the reins. I was alone, big mistake! Someone at her head could have given her a feeling of safety, where being behind her I could not. Hearing and feeling the strange noise and weight behind her she bolted and fortunately for me we crashed into the barn and not off somewhere else! This episode would take a lot of quiet time to re-establish the calm needed to progress further. She did accept the lesson in time, and pulled a light cart. The cart is a light exercise for a horse. The harness is designed so the horse is actually pushing the cart, which is easy to do, rather than pulling the weight as it appears. It is recommended to have the horse wait until two years old before carrying the weight of a rider and then to keep the workouts light and gentle as the horse gains strength and matures. The day came when she was two years old and for the first time would have a rider on her back. Me! 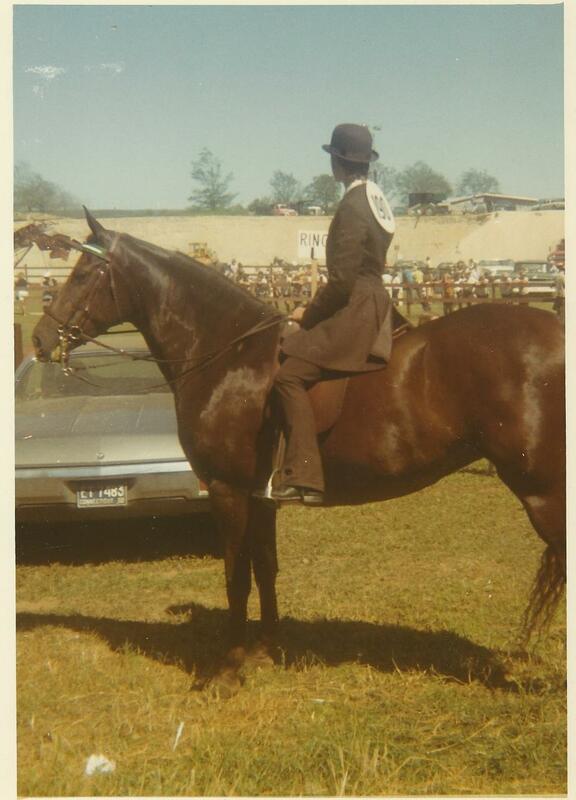 She had worn a saddle many times in preparation as I had leaned my weight on the saddle without mounting. This day I swung my leg over and sat upright and quiet on top of her. Her ears moved back and forth and she listened for the voice commands that we had practiced for well over a year. She quietly moved off with me on her back with no resistance at all. She stopped at the word whoa, and a light touch on the reins and got a carrot. There were a few simple turns that day with stops and starts, a good start to riding, not too long a session. Amity proved to be a very sensitive horse; she needed a very light touch. She was so much easier to work with than Justa Dream. 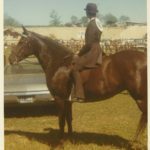 We developed an incredible bond that many horse owners have experienced. 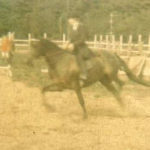 Amity enjoyed the trail rides we went on as well as the training sessions where she completed all her gaits, walk, trot, extended trot (at this she had incredible speed and style) canter and gallop. 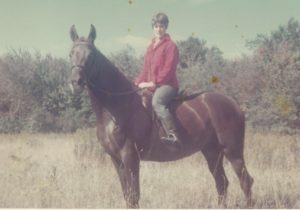 She later learned to back between rails on the ground and maneuver an obstacle course, (something like a dog obedience class for horses). She learned to jump but did not have the passion for it as Justa Dream had. Amity won many ribbons, most of them blue, and I was so proud of her. It was when she was five that she suffered an injury to her splint bone (a small bone in her lower rear leg). This was not a serious bone to break, but did cause temporary lameness and she needed rest. There were no more shows but she did fully recover in time. It was at this time that I accepted a new job in the Berkshire hills as a traveling art teacher. Amity, Justa Dream and I would be heading west to a new, beautiful and unknown life! Love the translations for non-horsey people. Sometimes I forget that all people don’t speak our language.